Torbay Airport, officially opened by the RCAF on 15 December 1941, was jointly used by the RCAF, RAF, and the United States Army Air Corps until December 1946. Although the airfield was not used as much as Argentia, Gander, Stephenville and Goose Airports in the movement of large numbers of aircraft to England, it was still busy. The Royal Air Force had its own squadron of fighters, surveillance and weather aircraft stationed there. The RCAF personnel strength on the station during the peak war years was well over 2000. Through an agreement between the US and Canadian governments early in 1947, the United States Air Force took over the use of the airport facilities and utilized about ten of the buildings located there. 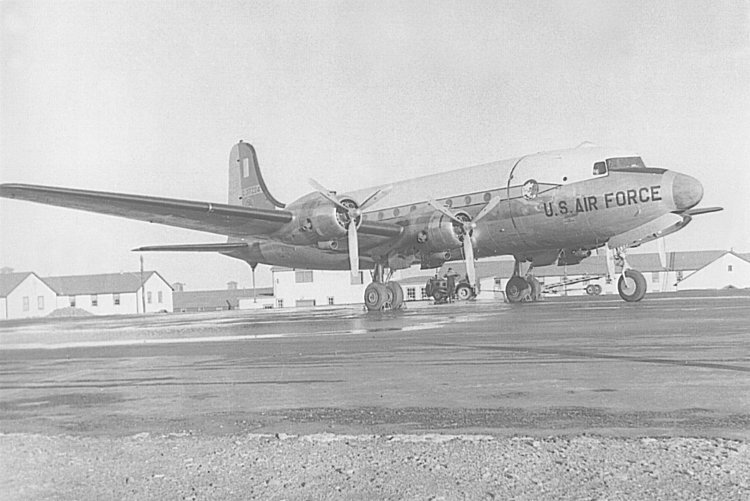 The US Military Air Transport Service (MATS) needed Torbay Airport in order to complete its assigned mission at that time. Maintenance of the airport and facilities was done by the Canadian Department of Transport. On 15 April 1953 the RCAF Station at Torbay was reactivated and RCAF personnel started to move in and began providing the necessary administration and operation of the facility to support the mission of its co-tennant, the United States Air Force. Early in 1954 a rental agreement was signed between the USAF and the RCAF and the USAF acquired use of additional buildings. The 6600th Operations Squadron of the USAF was activated on 1 July 1953 and moved into existing Torbay Airport facilities. The USAF rented over thirty buildings at a cost of over $210,000 per year. The USAF operations at Torbay Airport, from 1953 to 1958 - when the Northeast Air Command was deactivated, were notable achievements. Thousands of tons of cargo were handled by Torbay in support of the many bases and satellite stations throughout the Command. We flew on this aircraft from the USA to Torbay airport - November 1956. Assorted photos of RCAF Station Torbay - 1954.